Hello, guys. Do you like pearl beads? We know that pearl beads are always popular among jewelry makers. And our Pandahall pearl beads are preferred choice for customers. 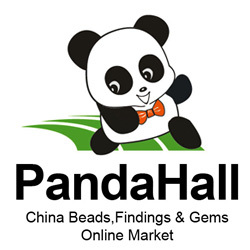 So today I am going to show you some pretty jewelry made by our Pandahall pearl beads from customers. Are they beautiful, right? And you can click the shell pearl beads strands to see more colored pearl beads. Then let’s enjoy finished jewelry made by pearl beads. Thanks for our designer yeong hee, the bracelet looks so pretty. I think it is perfectly suitable for the bride in wedding. I can imagine that it is a romantic scene that beautiful bride with wedding dress and this bracelet walk on the way to happiness. Fantastic! I believe you also can make your own pearl beads earrings if you prepare relevant jewelry making supplies and follow our designer Marcela. We need pearl beads in different sizes to finish it. It is a good idea if you want to change the color of this pair of earrings. Lydie is so smart to design a special kind of necklace. This necklace impresses us so much with its “flower”, pearl beads and wire. It may be a good choice to wear it if you want to join a party to match your pretty dress. Do you also like it? The designer Yulia is so ingenious that made amazing earrings like this. The earring hoops are special with two birds, very energetic, yes? We need to make some pearl beaded dangles firstly then all parts should be attached together. Can you finish it by yourself? How do you think of these pearl beads jewelry? Actually, pearl beads can be used in all kinds of accessories, do you want to try it? Or you can add other beads, like glass beads, acrylic beads, resin beads and so on. Just show your works after you finish them!